Kel-Tec CNC of Cocoa, Florida continues to impress me with their innovative and very practical firearm designs. They pretty much went from nothing just a few short years ago to dominating the pocket auto market with their super-light .32 ACP pistol, and then followed up with the .380 version after that. Their double-stack 9mm and .40 caliber autos are also among the smallest and lightest available, and their rifle designs are also as unique as their pistols. Their recently introduced .308 bull-pup RFB rifle, which has not gone into production yet, promises to be a "must have", if it is as good as I think that it will be. We will have to wait about a year to find out. Kel-Tec is not a "ME TOO" company, coming out with another copy of a gun that is already crowding the market. It seems like everybody and his little sister are introducing their own versions of the grand old 1911 or another copy of the Colt Single Action Army, and that is fine, I suppose. The more guns the better. However, Kel-Tec has displayed a unique ability to read the market and then deliver the weapon that fills that void. 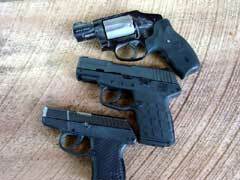 Their little pocket pistols are light, small, practical, and very affordable. When Kel-Tec introduced their little .32, it was half the weight and one third the price of the most popular pocket .32 at that time, the Seecamp, and it was more reliable with a variety of ammunition. 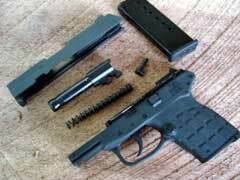 Now, Kel-Tec is in full production of their new slim single stack 9mm pistol. 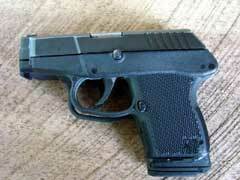 It seems to be a blend of the design of their double-stack P-11and their little .380 pocket gun, the P-3AT. I have been waiting somewhat patiently for over a year for this one, limiting my calling and begging to Kel-Tec to about once per month when possible. Like their little pocket autos, the PF-9 is a locked breech weapon, allowing the firearm to be as light as possible, without having to have arms as big as tree trunks to operate the slide. The PF-9 holds seven rounds of 9mm Luger ammunition in its magazine, for a total loaded capacity of eight rounds. 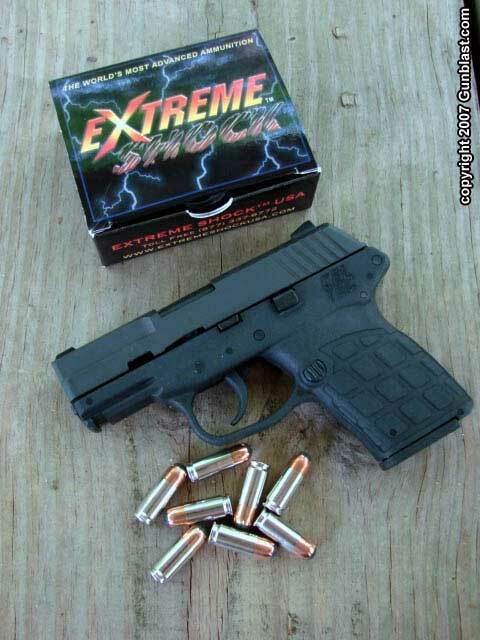 Kel-Tec says that a limited amount of Plus P rated ammunition can be used in the PF-9, so it is recommended that shooters do most of their practice with standard pressure ammo, and save the hot stuff for more serious use, firing enough of it through their pistols to assure compatibility with that particular gun. The slide of the PF-9 uses a bushingless design, and the rear lockup of the barrel is in the ejection port, making for a very tight lockup of barrel to slide, yet permitting very good reliability. 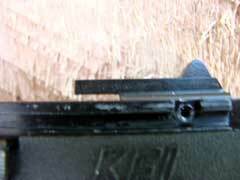 The frame of the PF-9 is made of plastic, and has an integral short Picatinny accessory rail at its front to attach a laser sight, flashlight, or other device, if so desired. The grip portion of the frame is textured for a positive grip, and works very well. The feel of the slim grip is a great improvement over the grip feel of the P-11 to my hand, and feels even slimmer than it is. 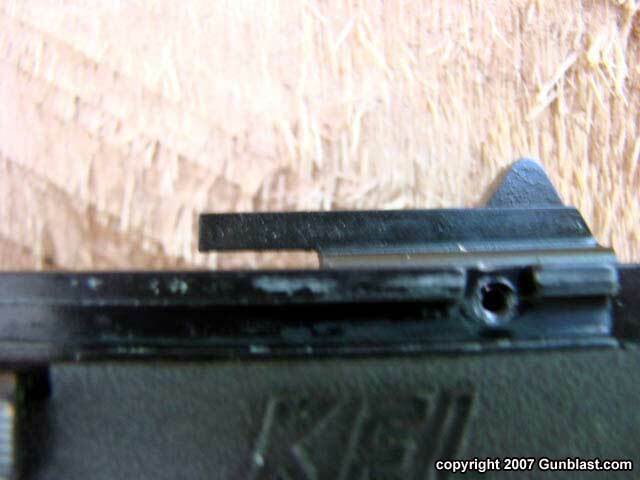 The magazine is made of steel with a plastic floorplate, and Kel-Tec supplies the pistol with an extra extended floorplate that is shaped to accommodate the little finger of the shooting hand. 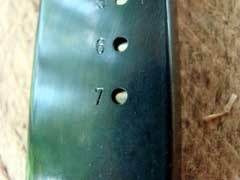 The trigger action is double-action-only, and the pull is smooth and measures five pounds, eleven ounces on my sample gun. I have handled a very few other PF-9 pistols, and their trigger pulls seemed just as good. 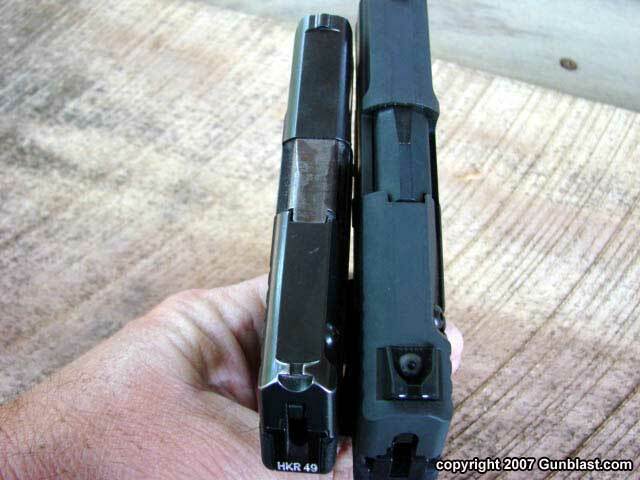 The magazine release is to the rear of the trigger guard, just as God and John Browning intended. 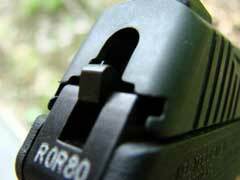 The slide locks open after the last shot, and the slide release is handy for the thumb of a right-handed shooter. 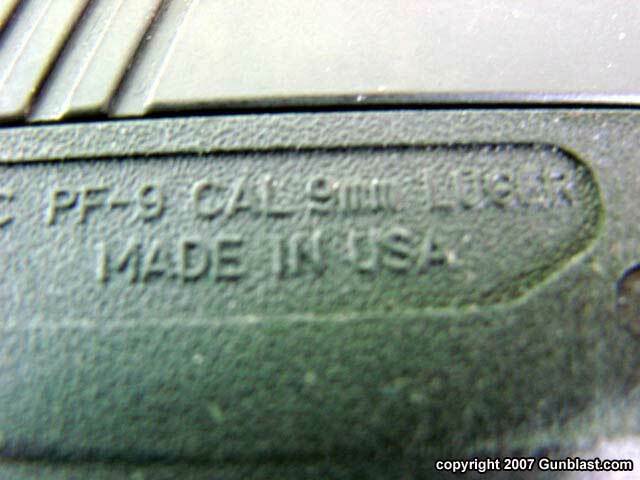 There is no manual safety, but the PF-9 has an internal safety that will not allow the weapon to fire unless the trigger is pulled. 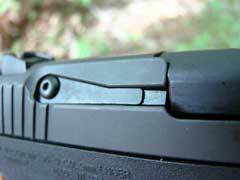 The PF-9 is a hammer-fired design, and the hammer does not protrude from the rear of the slide while at rest. 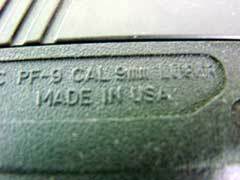 The sights on the PF-9 are of a very useful design, being large enough to actually see with the human eye, and are of the three-dot design. 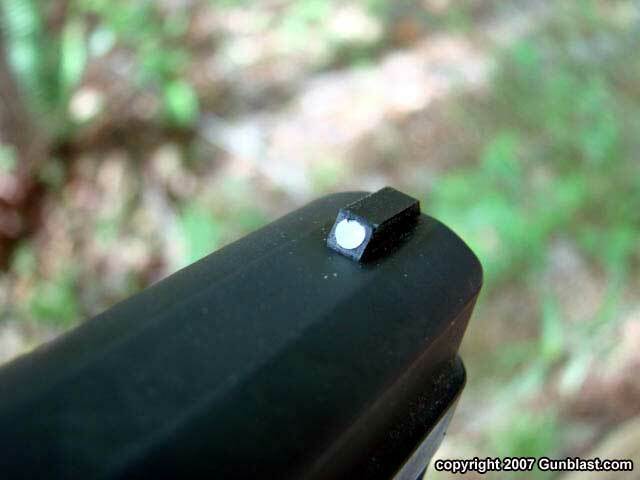 I would like to see tritium night sights offered as an option, but I can surely live with these. 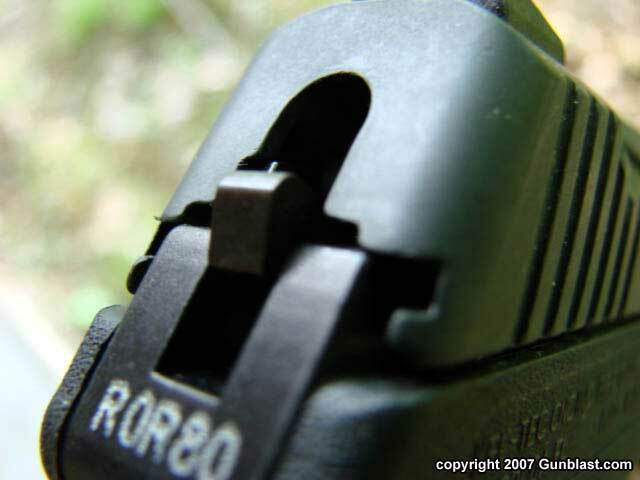 The rear sight is easily adjusted laterally for windage correction, and by shimming for elevation correction. I found them to be just fine at the factory setting for my eyes. 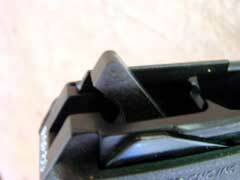 Stripping the Kel-Tec PF-9 is a very quick and easy operation. 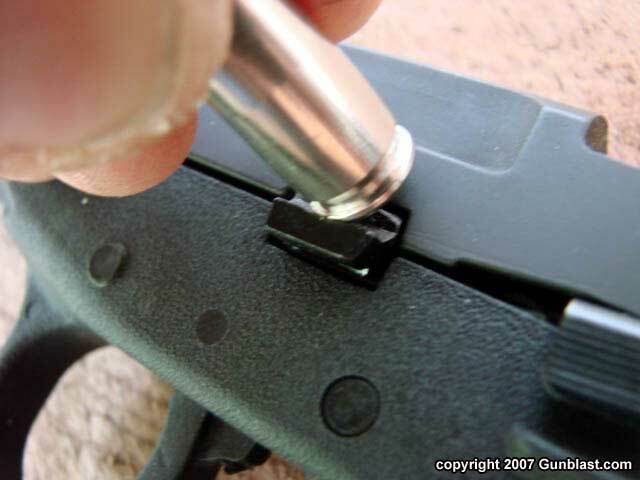 Using a cartridge case rim as the only tool needed, and a strong fingernail would serve as well. The slide, barrel, and other critical components are made of steel, and Kel-Tec offers matte blued, Parkerized, and hard chrome finishes. 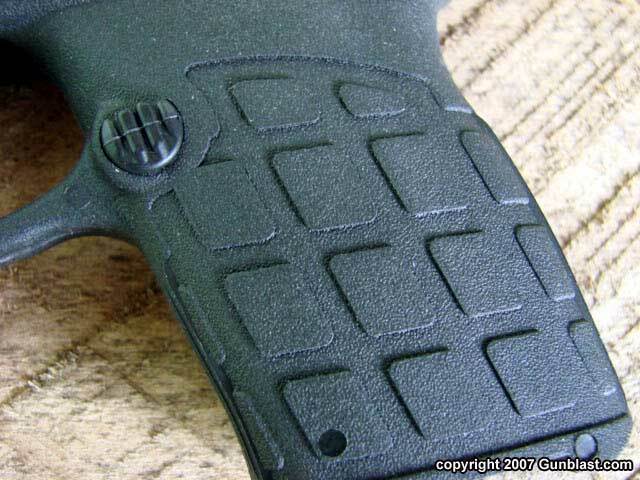 The slide has six grooves at the rear on each side for a secure grip when operating to chamber or unload the weapon. The PF-9 has a fixed standing blade ejector, and a beefy extractor to insure reliability. I like the unique design of the extractor and its external spring. Another thing that assures reliability is the almost straight-in feeding of the cartridge from the magazine. 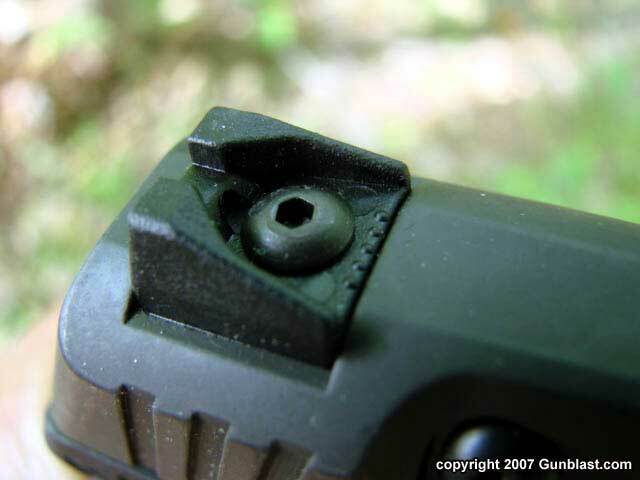 The barrel has an integral feed ramp also, but little of it is used as the cartridge goes forward into the chamber. 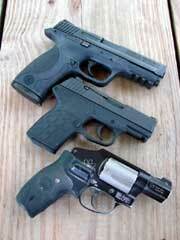 In the pictures, I tried to compare the size of the PF-9 to other popular handguns to illustrate its compact size. The slide of the PF-9 is only .881 inch at its widest point, and the grip portion of the frame is about the same. 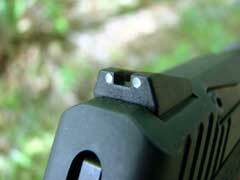 Height including the sights and magazine floorplate measures 4.4 inches, and the length measures just 5.84 inches. The barrel length is 3.1 inches. 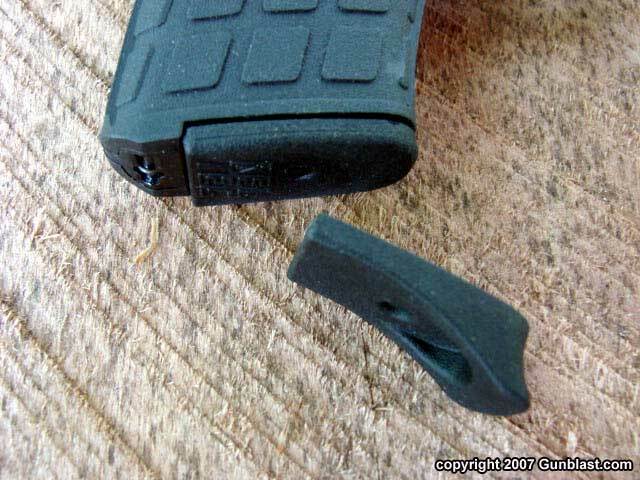 Now here is the best part; the weight of the PF-9 is only 14.6 ounces empty, including the magazine! 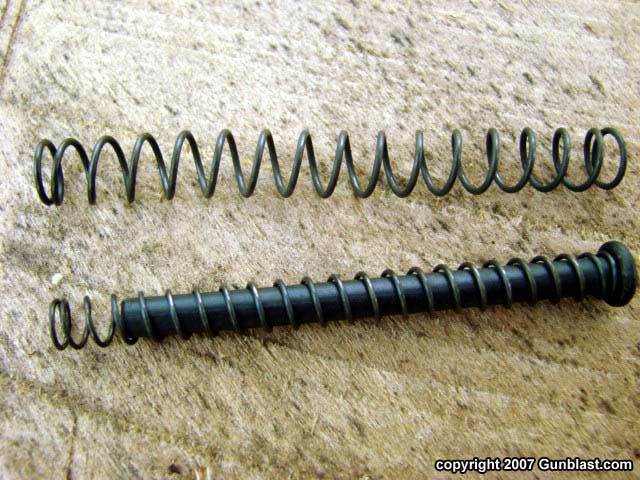 The PF-9 uses a double recoil spring system, and has a plastic full-length guide rod. Shooting the PF-9 proved to be a pleasure. Despite its light weight, the felt recoil was less than an Airweight .38 Special shooting Plus P ammunition in both guns. The video shows the muzzle rise and controllability of the PF-9. I was pleasantly surprised at the ease at which the PF-9 could be quickly fired for repeat shots. 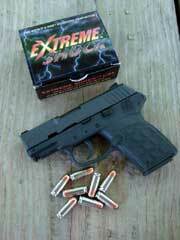 I fired the Kel-Tec with several different brands and types of high performance ammunition, all of which is suitable for social work. The accuracy of all ammo tested was acceptable, and reliability was perfect with all ammunition tried. Velocities of the various loads are listed in the chart below. 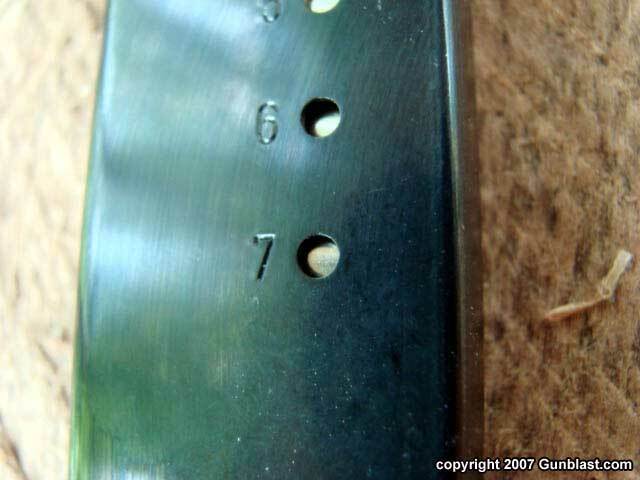 Bullet weights are listed in grains, and velocities in feet-per-second (fps). No handloads were tried. DPX is a copper hollowpoint with no lead core. 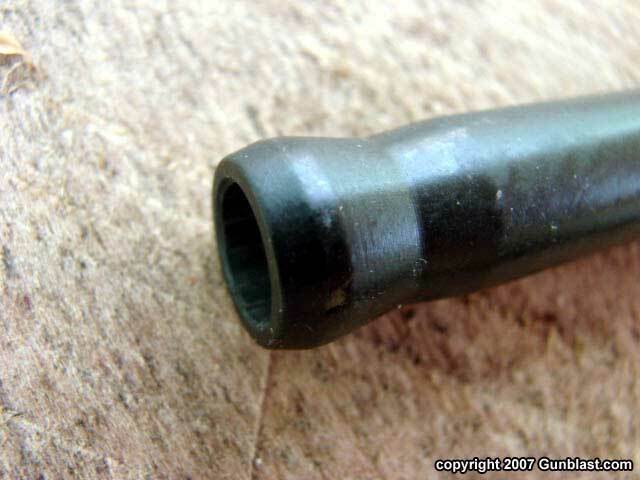 JHP is jacketed hollowpoint. 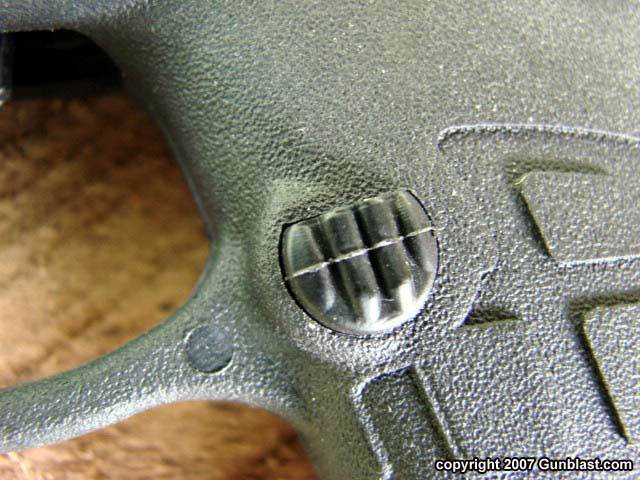 HP is a pre-fragmented hollowpoint. The accuracy of the PF-9 was very good for such a small, light pistol with me doing the shooting. It was easy to keep any and all shots in the kill-zone of a standard human silhouette target out to twenty-five yards, but most of my shooting of this Kel-Tec was done at seven to ten yards as quickly as I could empty the pistol into the target, just aiming for center-of-mass or at the head. 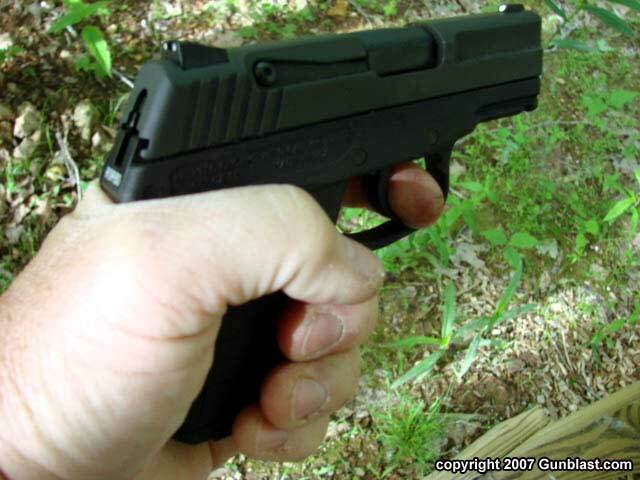 I did not try shooting the pistol from a rest for Bullseye groups, as the intended purpose of this handgun is for fighting, up close, fast, and personal. 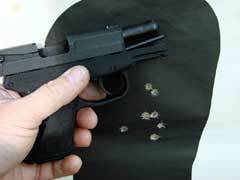 There are many who disparage the 9mm Luger cartridge as being inadequate for social work. I am not among them. They would have you to believe that a 9mm bullet will bounce off of humans as if they were wearing red pantyhose and a huge "S" on their chest. 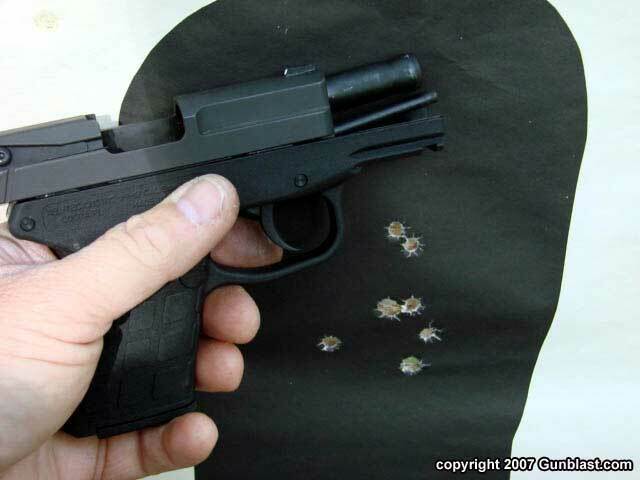 The truth is that a 9mm Luger will penetrate as much or more than most .45 ACP ammo, and using a good hollowpoint or other expanding design is quite effective on flesh and bone. There were really no huge surprises for me with the PF-9. It offered everything that I have come to expect from Kel-Tec. They offer quality products, and have a very good reputation for customer service. The PF-9 was perfectly reliable with no failures of any kind during testing. The performance of the ammunition tested displayed higher velocities than expected from the short barrel. The pistol is extremely slim and light for a 9mm Luger handgun. 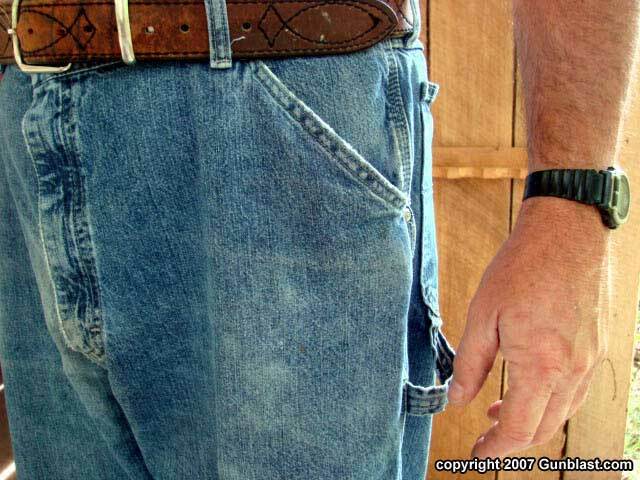 It carries beautifully tucked into the waistband, and just disappears in a jeans pocket. It prints much less than does my .38 Special J-frame S&W, is almost as light, and offers three more shots without reloading. It is also easier to shoot well. Will it replace the J-frame in my pocket? I don’t know. I will have to shoot it a lot more before deciding, and old habits die hard. 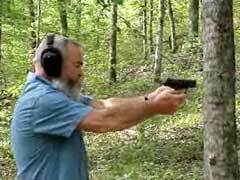 However, I would feel very well-armed carrying this Kel-Tec anywhere. It is slim, light, reliable, powerful, and accurate. It is also surprisingly affordable, listing at just $333 US at the time of this writing, and I have been receiving reports of real-world prices being much less. The PF-9 is a dandy pistol, and would be a great deal at twice the price. There is nothing else quite like it, and I highly recommend it. Check out Kel-Tec's line of innovative products at: http://www.kel-tec-cnc.com. For the location of a Kel-Tec dealer near you, click on the DEALER LOCATOR icon at: www.lipseys.com. Got something to say about this article? Want to agree (or disagree) with it? Click the following link to go to the GUNBlast Feedback Page. Click pictures for a larger version. Kel-Tec's New Lightweight PF-9 9mm Auto Pistol. 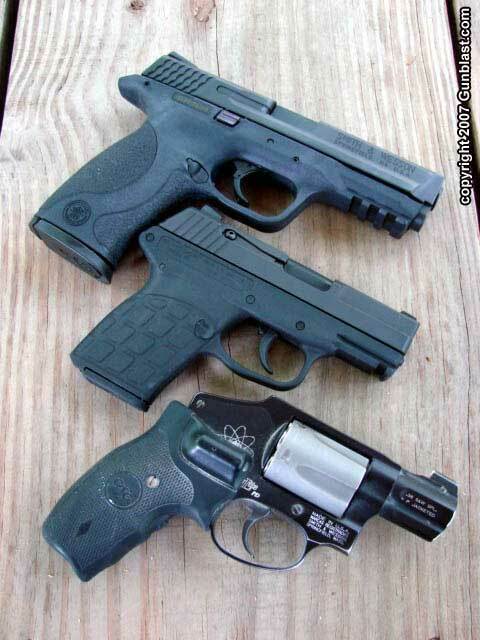 Top to bottom: S&W J-frame Model 342PD, Kel-Tec PF-9, Kel-Tec P3AT. 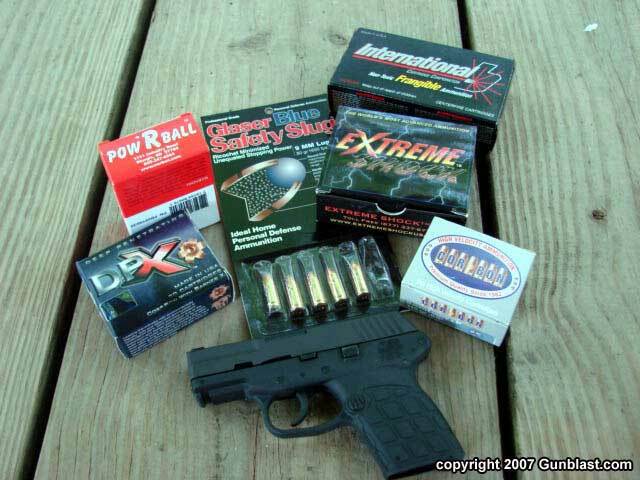 Top to bottom: S&W M&P 9mm, Kel-Tec PF-9, S&W 342PD. Kel-Tec P3AT on top of the PF-9. Kel-Tec P3AT (left), PF-9 (right). Kel-Tec offers a floorplate with support for the little finger. Field stripping the PF-9 is quick and easy. 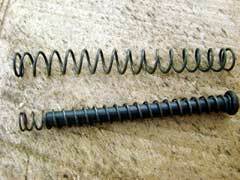 The PF-9 uses a double recoil spring system. Extractor (top) is large and positive, while the fixed ejector (bottom) is robust. The PF-9 features a reliable hammer-fired design. 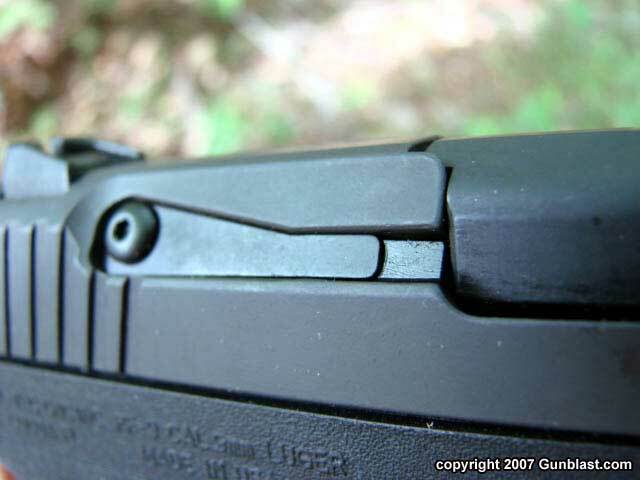 Magazine release is located behind the trigger guard. 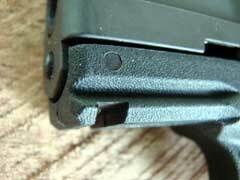 For those shooters who like to hang stuff under their pistols, the PF-9 features an accessory rail. 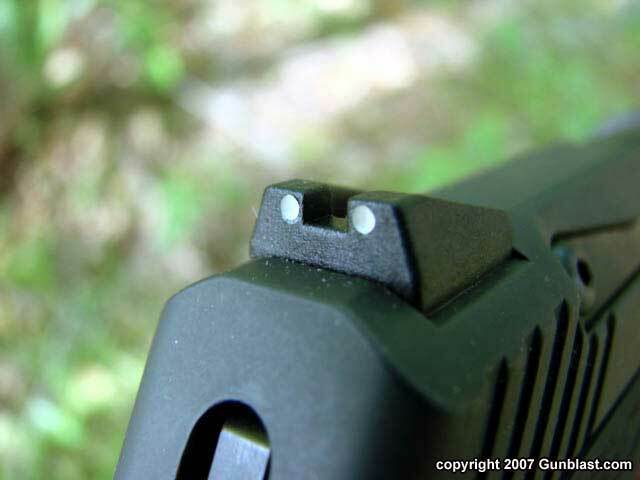 Sights are of the highly visible "three-dot" design. The PF-9 disappears in a front jeans pocket. The PF-9 digested a variety of ammunition without malfunction, and proved plenty accurate for its intended use.